And when I can show you in this Bible that He forgives all of our iniquity (O God), heals all of our diseases, let me just take hold of that promise and say, "Father God, I'm weak; I need You. I know You keep Your Word. You're El Shaddai. I'm believing You, Lord. Fill me with Your Spirit. Wash me in Your Blood. Take me back, O Lord, and try me. Let me lean against the bosom. I am Your child; I was born to You but I got weak, but You're my strength Giver. You promised You would do it, and I'm just going to hold right here, Lord, and I'm going to be satisfied that You'll fill me with Your Spirit, wash me in Your Blood, take away all of my condemnation, heal my body and make me well." What a promise it is to confirm His promise to Abraham, "I'm El Shaddai." "Well Brother Branham, I'm a--I'm a prostitute. I'm a--I'm a drunkard. I'm a--I'm an alcoholic. I'm all these oth..." I don't care what you are. 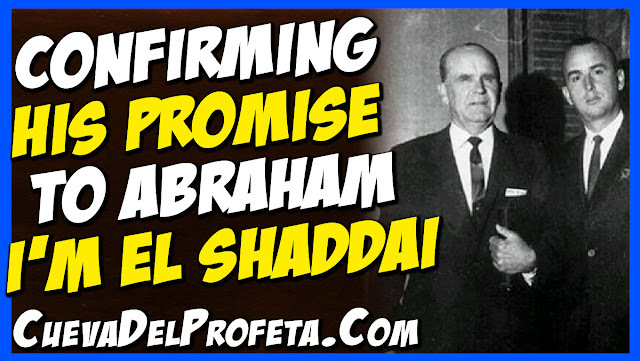 Come right up to El Shaddai. 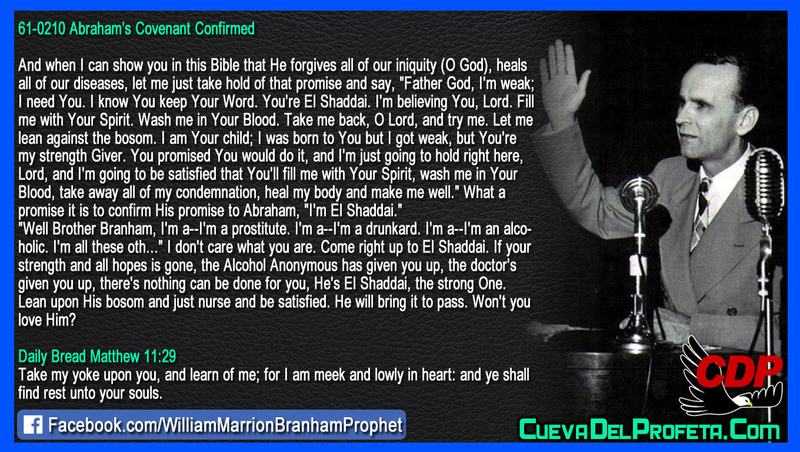 If your strength and all hopes is gone, the Alcohol Anonymous has given you up, the doctor's given you up, there's nothing can be done for you, He's El Shaddai, the strong One. Lean upon His bosom and just nurse and be satisfied. He will bring it to pass. Won't you love Him?